Hackberry is a 30 minute drive at 26 miles (42 km) east of Kingman on Historic Route 66. 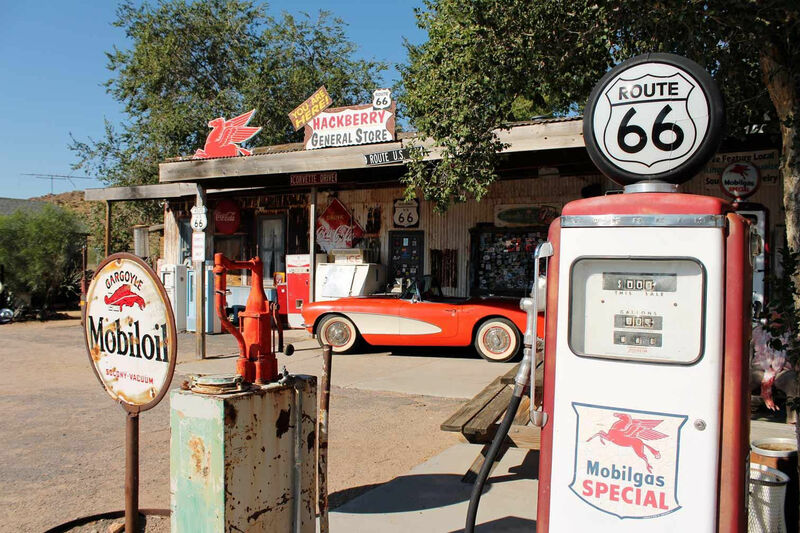 Originally a gas station on Route 66, its now a museum and gift shop with a collection of photo ops and Route 66 memorabilia. 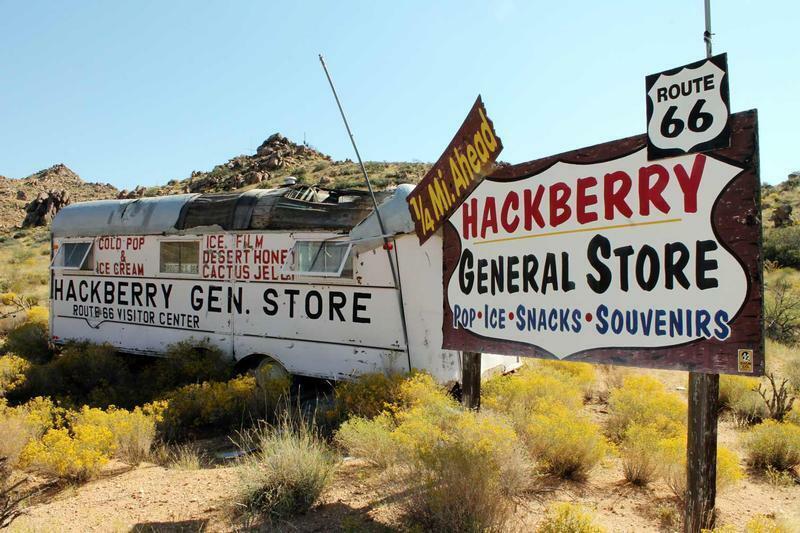 Originally operated by the Route 66 artist Bob Waldmire who traveled the road in his orange 1972 Volkswagen Microbus, the Hackberry General Store is a favored stop among travelers of Old 66. Bob was the unofficial inspiration of Fillmore in the Disney/Pixar movie Cars. Photo ops abound around Hackberry; a rustic store front, the tin-can billboard, nostalgic gas pumps, craggily mountain faces, old blacktop and scenic vistas. 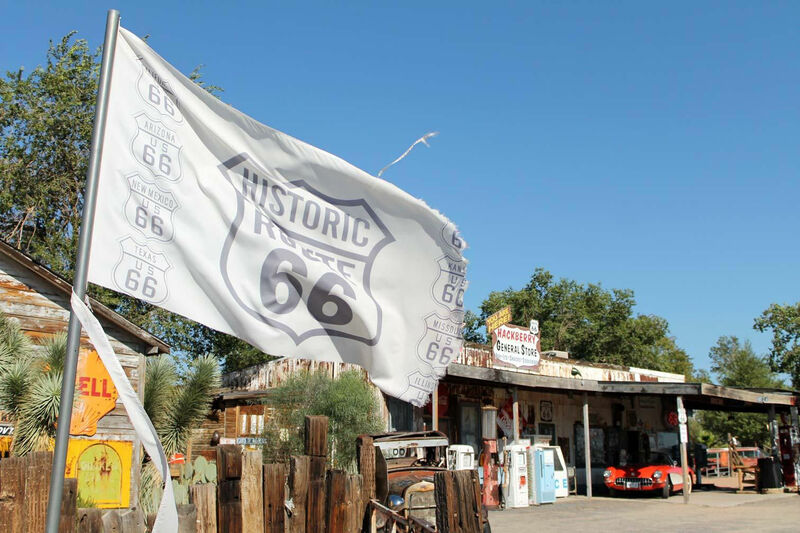 Hackberry is a microcosm of Route 66. Click here for an article about the Hackberry General Store featured in the Travel secion of USA Today on April 20, 2018. 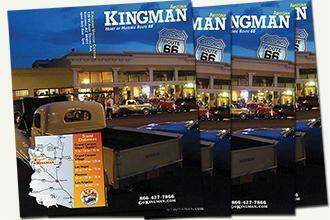 Hackberry is 26 miles (42 km) east of Kingman on Historic Route 66 (AKA Andy Devine Ave. on your GPS device). Thank you for visiting http://www.gokingman.com/day-trip-Hackberry-General-Store! Be sure and revisit gokingman.com frequently for content updates and more.